Before we get down to the business of showing off the first actual trailer for Activision and Terminal Reality’s first-person-shooter The Walking Dead: Survival Instinct, I think it’s worth taking a small step back so that we can clearly see the short chain of events that have led to this historic moment. It was just eight short months ago in July 2012 that we first learned of the existence of The Walking Dead: Survival Instinct. That reveal was followed by about six months of complete silence, and then the release of a gameplay trailer that was later said to be nothing more than a fan trailer. About a month after that we were treated to a short launch announcement trailer that featured Norman Reedus (Daryl Dixon) and Michael Rooker (Merle Dixon) failing to act like they were even the slightest bit interested in the game they were selling. Fast forward to today, with the title coming out next month Activision has finally released a trailer that puts The Walking Dead: Survival Instinct‘s best foot forward, and… It looks pretty much like the mess that we saw in the “fan trailer”, minus all the screen tearing. It’s possible that the gameplay in The Walking Dead: Survival Instinct will turn out to be the bee’s knees, but I would not hold my breath for it. The more likely answer is that the entire game is nothing more than a cash in on The Walking Dead IP, that was rushed out the door to strike our wallets while the iron was hot. 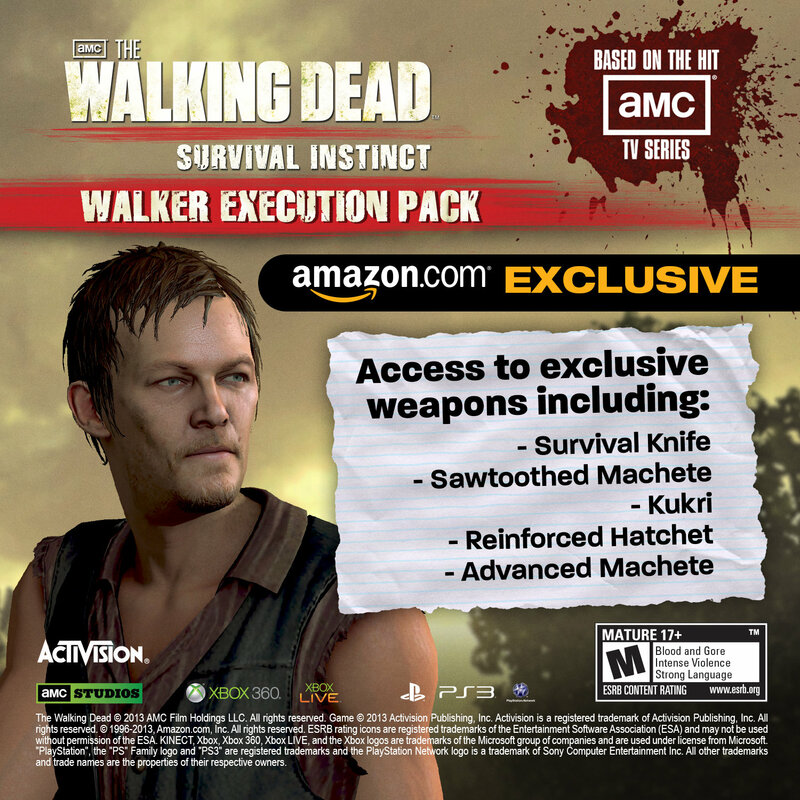 At any rate, Activision also announced that The Walking Dead: Survival Instinct will have a “Herd Mode” DLC as a pre-order bonus though GameStop, and a “Walker Execution Pack” via Amazon pre-order. Herd Mode is basically a wave-based survival mode, and the Walker Execution Pack provides a few special knives for use in the game. 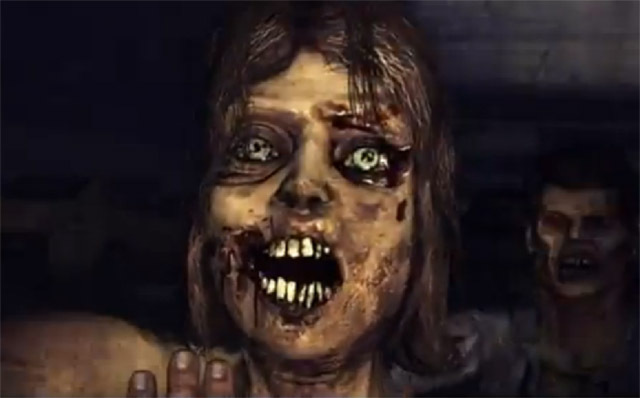 Check out the first real gameplay footage for The Walking Dead: Survival Instinct in the trailer below. Originally the game was given a March 26th release date for the PlayStation 3, Xbox 360, Wii U, and PC. That appears to have been changed to just “March” in both the trailer and the press release. We will update this post with a clarification on the official launch date as soon as we get it.